NFL offensive tackle and multiple-time Pro Bowler who was signed as an undrafted free agent in 2004 by the Buffalo Bills. He played the tight-end position at Arkansas, where he was a second-team All-SEC selection. He was selected to five consecutive Pro Bowls from 2007 through 2011 while playing for the Bills and the Philadelphia Eagles. He was born in Queen City, Texas, in 1982. 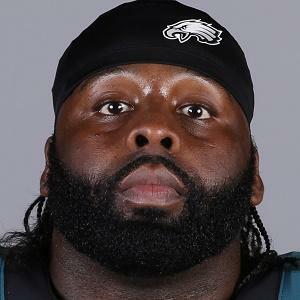 He played for former Philadelphia Eagles head coach Andy Reid, who called him "the best left tackle in football."